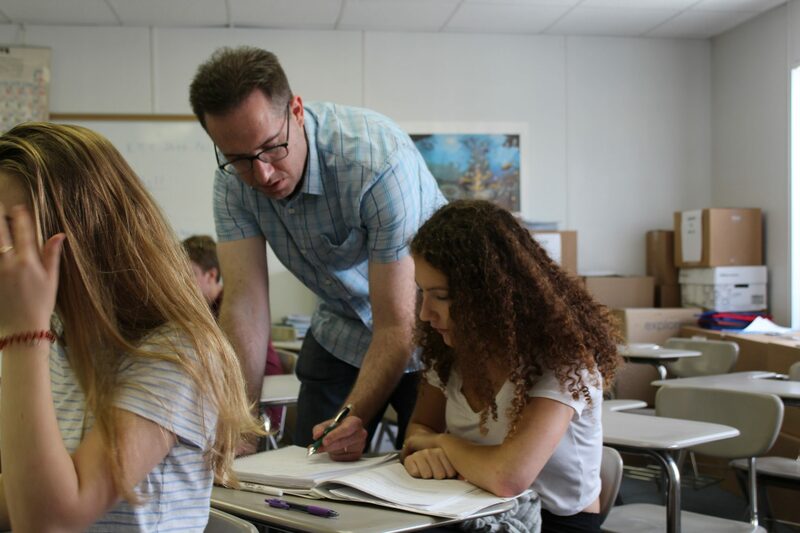 For chemistry teacher Dr. Jay Skipper, ensuring that his students have the resources to fully understand concepts that are taught is extremely important. For the past six years, Skipper has been providing students around the world with videos through Khan Academy, an online school mentoring site, that explain the content needed to succeed in AP Chemistry. 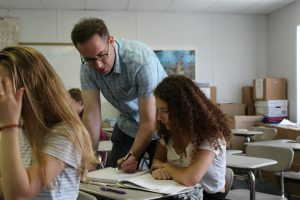 Skipper began filming these videos in 2012 when a group of his students approached him after exploring Khan Academy and convinced him to begin uploading his own videos. “They helped me set up a Khan Academy account and showed me how to film these videos. Eventually, the videos got popular and [Khan Academy] contacted me,” he said. Khan Academy flew Skipper out to Mountain View, Cal., where he spent time with the people behind the site. While there, he was officially named as the only Contributing Editor for Chemistry on Khan Academy at the time, and he used his AP Chemistry teaching experience as training for his videos. “A few teachers have approached me wondering about the process, but it is difficult for a lot of them since making these videos is like having a second job,” Skipper said. Skipper described the long process as first, having to figure out the content that will be included in the video, then using Adobe Photoshop, he writes the information on a tablet and records himself speaking with a microphone. To piece his voice and the writing together, Skipper then uses a software suite known as Camtasia. “Usually a teacher teaches in the classroom and then the students go home and complete homework, but with these videos, a flipped classroom approach is offered. The students watch the lectures at home and then they put it to practice in class,” Skipper said. Using data from before he began using this flipped classroom approach and after shows a significant improvement on tests. This method of teaching allows students to help each other and for Skipper to have more time to help students individually during class. “His videos make the material, which is really complex, relatively easy to understand. He goes into a lot of detail and makes sure that every student has a firm grasp on the subject,” eleventh-grader Gregory Karcz said. After working as an employee of Khan Academy from 2013 to 2015 in which he not only made videos for chemistry but also the Medical College Admission Test (MCAT), he now works for another Silicon Valley start-up company. Skipper cannot reveal any more information about this new company until next fall when a new set of videos will be released. Before he began making videos, Skipper spent his spare time tutoring and he is thrilled that now he can reach a greater number of students through his films. “If these videos help someone that would not normally get the chance to learn chemistry, then that would be amazing but my ultimate goal is to help all students gain a full understanding of the content,” he said.